The most perplexing process of the biological evolution of our universe and the fascinating history of the amazing emergence of humanity as the interpreter of all its subtle complexities can now be substantially, if not wholly, comprehended - thanks to the all the accumulated knowledge preserved in the books of the world. No wonder, the metaphor of ‘Book’ is often invoked to describe the entire gamut of our existence – yet to be completely perused and fully understood! The eminent author Jorge Luis Borges has rightly remarked that he had always imagined that Paradise would be a kind of mighty Creator’s most magnificent Library!! She welcomed Singapore as the Guest of Honour country and Korea as the Focus country for this year’s fair. Suryodaya: the Emerging Voices from the North East was declared the theme and, ‘Books open the Mind’ was adopted as the slogan of the Fair 2015. It was mentioned that the Fair was spread over 35,000 square meters with more than 1000 Indian publishers and 31 foreign participants. The metro connection to Pragati Maidan has resulted in the much greater increase in the footfalls at the fair. When I try to look as far back as the memory can travel, so many sweet and strange tales of buying of books flash before the mind’s eye. Interestingly, my dearest and most enduring friend has been a librarian by profession. We had met in Government College, Bathinda in 1968 and the he joined ministry of Defence Library on May 3, 1969 - the day President Zakir Hussain had suddenly passed away resulting in closure of all government offices. 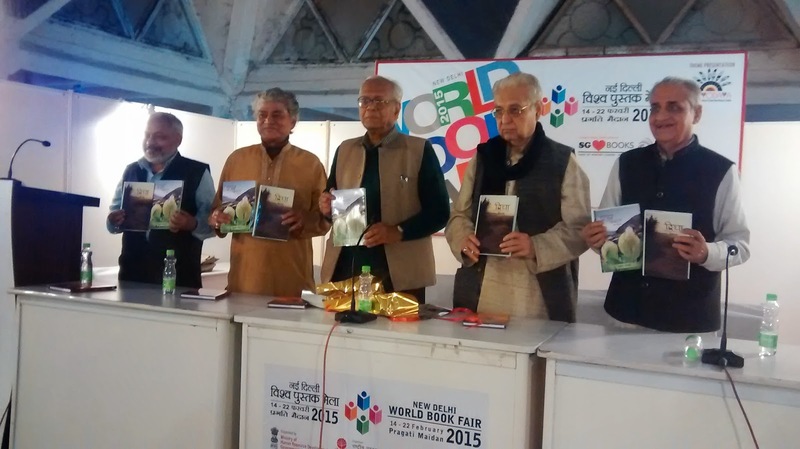 We had visited the First International Book Fair - March 18 to April 4, 1972 - in the newly laid out Pragati Maidan. After long spells of stay abroad, it was indeed deeply nostalgic for me to revisit the various NDWBF since return to Delhi in 2004. I have enjoyed attending several interactive sessions with the authors during the release of their books and picking up books of Urdu poetry in Devanagri editions and standard publications of references like Jan Nisar Akhtar edited celebrated two volume of poetry of love of motherland titled ‘Hindustan Hamara.’ It is a great solace for lovers of books that the Sahitya Academy, National Book Trust and Publication Division continue publishing quality works of literature and knowledge and making them available at a reasonable price. The literature for the children and the new age learning materials including the audio-visual kind have acquired an increasing importance and have also presented new opportunities and challenges. The illustrated reading materials are also gaining a new market and momentum. The books in their new e-format avatar and their on-line marketing have been becoming more and more popular. The book industry has to be creative and innovative to rise to be compatible with the new horizons of technology. It is brave new world of learning and acquiring necessary skills. For me personally, the NDWBF-2015 turned out to be particularly memorable for the release of two new books by two esteemed new friends. An anthology of stories in Hindi titled, Muhim, by Dr Sitesh Alok was released on 17th February by the two eminent scholar-critics, Dr Prabhakar Shrotriya and Dr Kamal Kishore Goenka. The book is dedicated to the memory of late Nirmal Verma and late Manohar Shyam Joshi. Introducing the book, Shri Sushil Siddarath mentioned how the bold themes of complex changes sweeping the society have tackled in an appropriate style by the gifted writer. Terming some of the stories with the daring new themes as Classics in their own right, Dr Goenka recalled the controversies generated in their time by the stories like, Kafan - the Shroud - and Karbala by Prem Chand. Dr Sitesh Alok, elaborated on the background of long story in the book - the title of it, i.e. Muhim - he explained the underlying socio-economic roots of the ‘attraction’ of the idea of ‘Jihad’ and the other stories dwelling on the challenging themes of declining social and moral codes and changing roles of women. The second book release function and discussion attended by me related to, ‘Denied by God’ by Noor Zaheer, versatile author–activist. 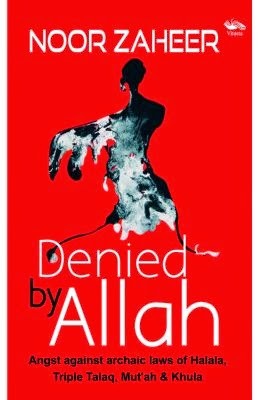 To quote, “The book mirrors the stories and indignity of the women whom even Allah seems to have denied justice and a life of dignity.” The book narrates the real life stories of women who have laid bare their bleak past and the humiliation brought through Halala, Muta’h, Triple Talaq and Khula. The book discusses medieval laws, sexist bias and maintenance of tradition and conventions in name of religion. 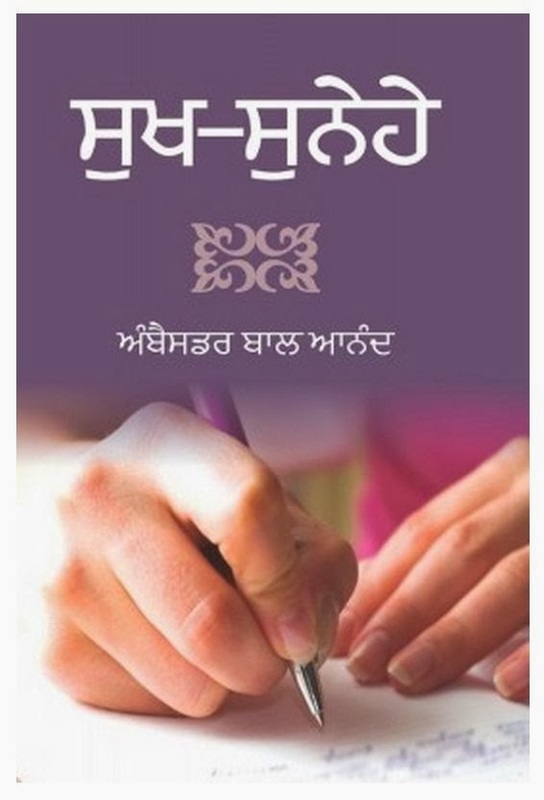 The book questions the adherence to archaic laws and propagation of patriarchy in a country that professes a democratic society and guarantees justice and equality to all its citizens. There was a lively - even heated at some moments - discussion with able presentations by panellists including Shahira Naim, Smita Mishra and S. Mobin Zehra and participation by the two Muslim clerics, Islamic research scholars and the young people in the audience. It became clear that the woman emancipation has to go a long way with obscurantists in each religion fighting, hopefully their last desperate battle. Noor who has earlier authored, ‘My God is a Woman’ and her comrades in arms are confident that time and tide are on their side.